After working as a design engineer in Belfast, Noel returned to his schoolboy love of making and studied for a BA(hons) in Furniture Design and Making. His work combines his love of traditional crafts found across the British Isles and his interest in new materials and techniques, resulting in products that are durable, functional and aesthetically pleasing. Being brought up on the family farm in the rural Irish countryside has encouraged Noel to be interested in a sustainable way of living. 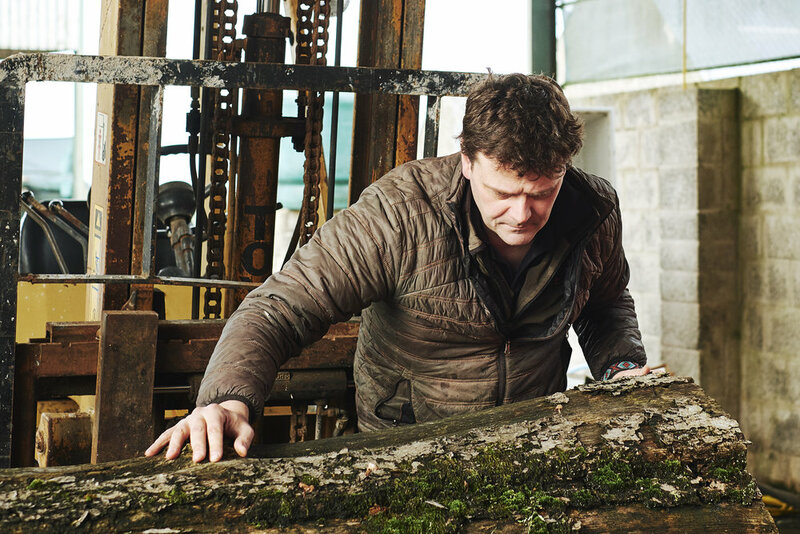 As a result, Noel increasingly uses locally grown timber, including trees from his own farm. These trees are usually windblown or have become unsafe and have to be taken down. He then mills these trees into boards which are air dried for at least a year and then further dried in a kiln adjacent to the workshop. As well as using wood, Noel also enjoys using other materials such as leather and metal.